One thing I know about truck people is they are loyal and passionate about their brand. Even though there aren’t that many players in the full-size pickup truck, it’s still very competitive. And each brand loyalist will declare theirs the best and the others a piece of junk. Truth be told they’re all really good and really similar in what they offer. 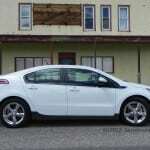 This week’s tester is outside the big three (Ford, GM and Ram) but still has a strong fanbase and loyal following. 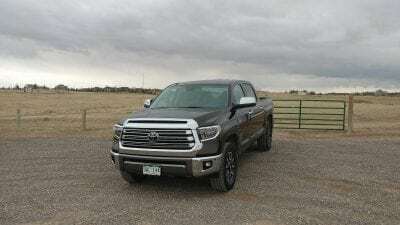 The 2018 Toyota Tundra has plenty of capability and plenty of amenities to rival the big three, and the Toyota fans out there will say it’s better than all of them. My friend Gale Halderman, who worked 40 years as a designer at Ford who designed all kinds of vehicles including trucks, said pickups were the hardest thing to design because they had a set shape. And that’s true for today’s trucks too. So, I can’t proclaim that the Tundra’s looks are distinctive or better than another truck’s. It checks off all the boxes you want from a pickup as far as aesthetics. It’s rugged-looking and has a strong profile. The 20-inch wheels give it a solid posture on the road. The 6.5-foot double-walled truck bed makes this Tundra look long, especially combined with the double cab. For me, this is how I want a truck to look. 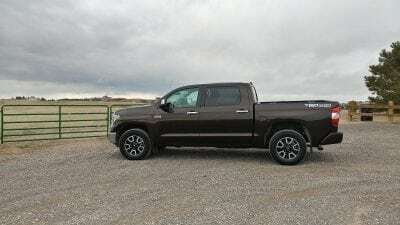 They’re meant to be big and the Tundra holds up that end of the deal for sure. The Tundra goes against the trend in this segment by only offering two V8 engines. It will resonate with the old-school truck buyers who demand and expect a full-size pickup to have V8 power. 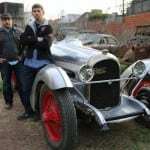 My tester was the bigger and more powerful 5.7-liter V8. This engine makes 381 horsepower and 401 pound/feet of torque. This is adequate for a big truck. 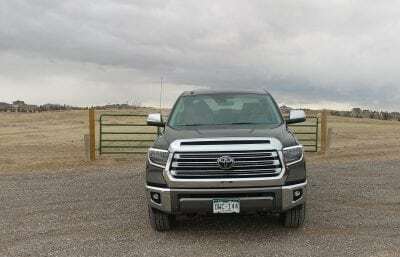 Off the line, the Tundra feels capable and fast. The six-speed automatic transmission is dull. 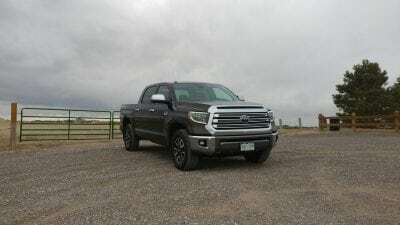 Most of the competition have upgraded to more modern transmissions and the Tundra could definitely use a powerplant upgrade and maybe even a turbo boosted V6. 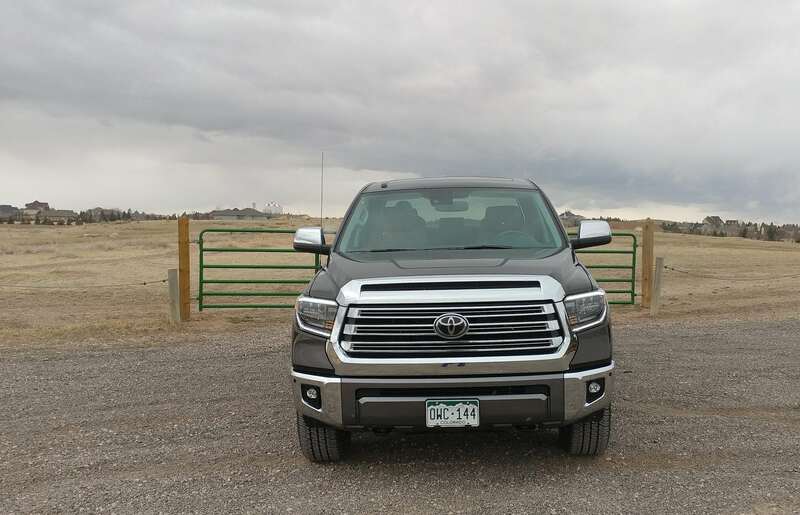 With the long bed and double cab, the Tundra drives big. 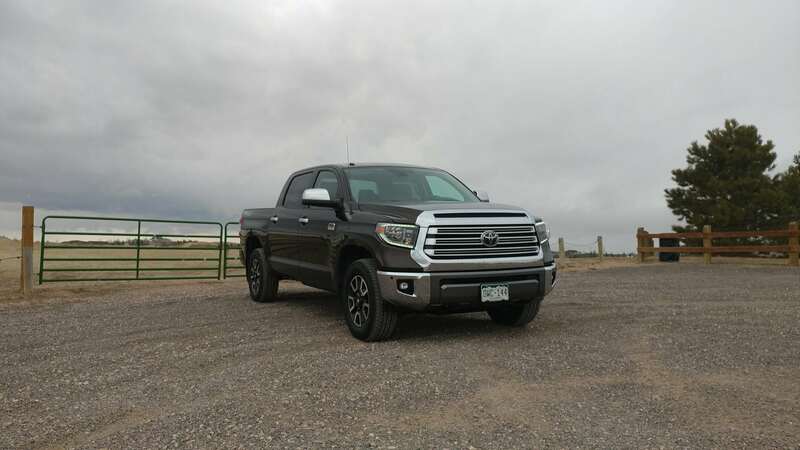 The handling is good, but overall the Tundra loses some maneuverability, especially on tight roads. This isn’t a truck for city dwellers (but really what full-size truck is?). Inside, the Tundra really won me over. The double cab makes for the most spacious back seat I’ve experienced in a pickup truck. Three adults can easily fit back there, or you can turn all that space into something special with foldable rear seats that offer hidden storage. 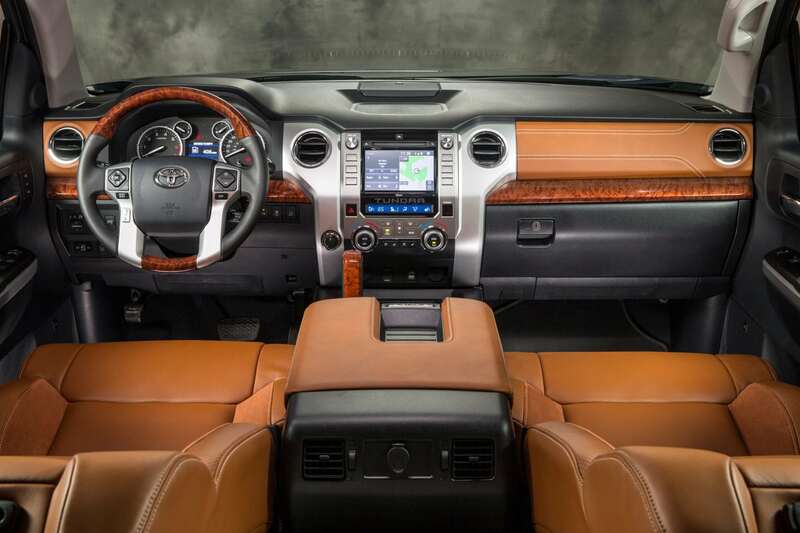 The copious amount of interior space makes the Tundra a contender, even though some of the interior feels less luxurious than rivals like the GMC Sierra or Ford F-150. 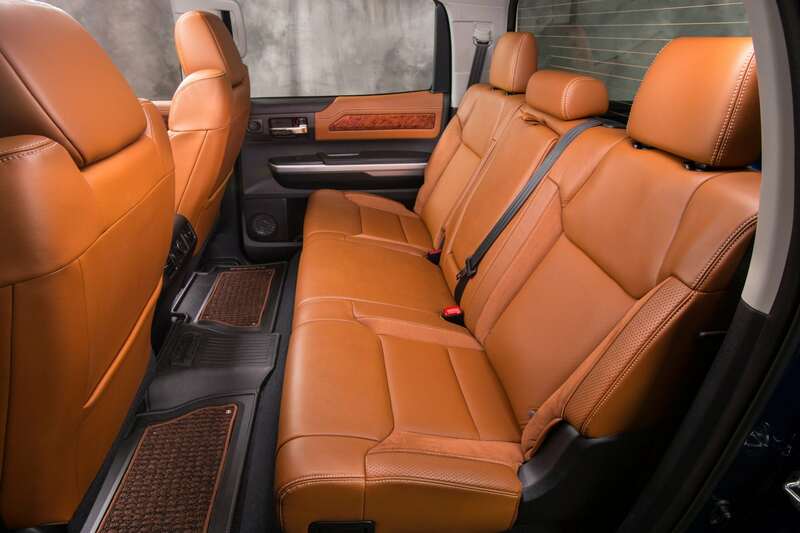 Today’s trucks have gone crazy when it comes to interior luxury and the Tundra hasn’t quite reached that level, but certainly achieves mass amounts of interior space. The rear power window opens up which is a nice feature to give rear passengers some fresh air. The 7-inch touchscreen is simple, clean and intuitive. Toyota’s Entune system is adequate, but lacks some modern features and doesn’t have Apple CarPlay or Android Auto. The 12-speaker JBL audio system sounds great and helps overcome some of the road noise found in this big truck. 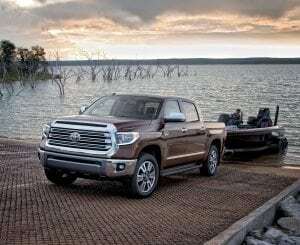 The towing ability of the Tundra is below its rivals. 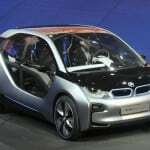 It has a maximum towing capacity of 10,500 pounds and a maximum payload of 2,080 pounds. But there is a trailer sway control feature that comes standard. All in all, the Tundra will be more than able to handle most recreational vehicles or weekend warrior tasks. 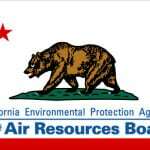 Lacking a more fuel-efficient engine keeps the Tundra at the bottom of the segment when it comes to fuel economy. 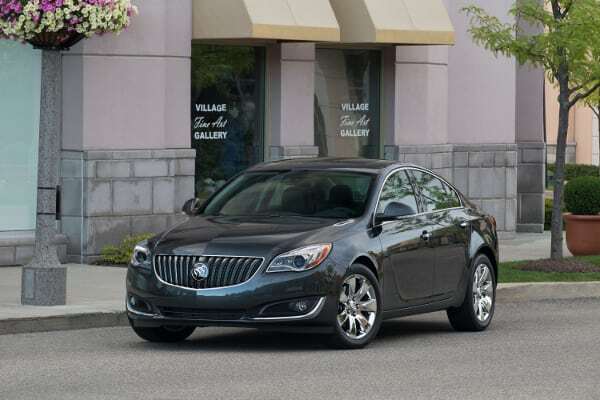 The big 5.7-liter engine has an EPA rating of 13 mpg/city and 17 mpg/highway. In a week’s worth of suburban driving where I didn’t tow anything, I averaged almost 15 mpg. The price of trucks nowadays is getting out control. Some go well over $50,000. 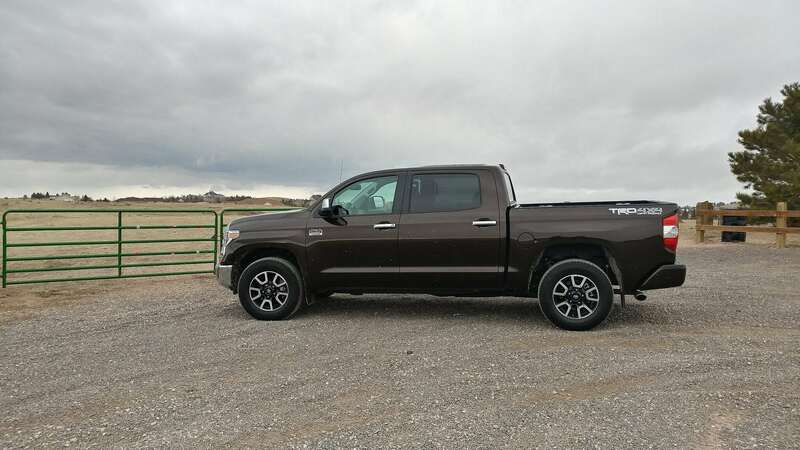 My tester had an MSRP of $43,435, but the smaller Tundra can drop into the high $30s. My tester’s final price was $44,939 with a the TRD off-road package added to it. 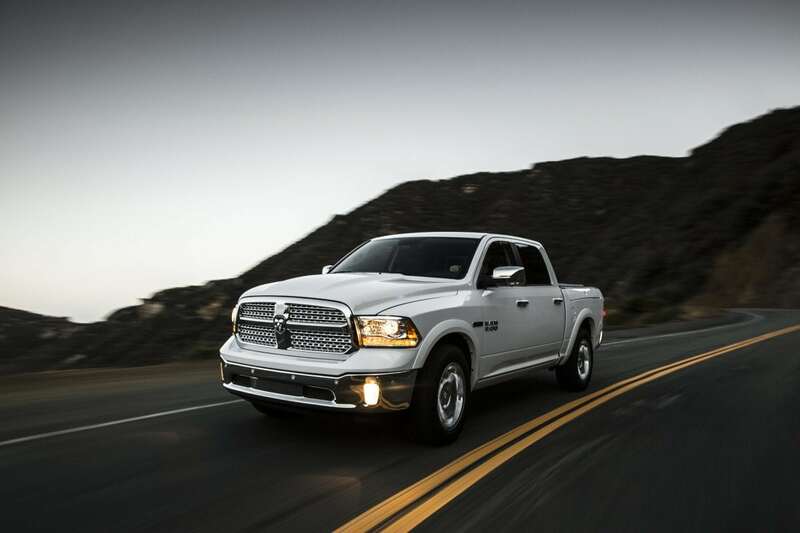 America’s obsession with trucks continues and the entire segment offers a lot of performance and a lot of quality. 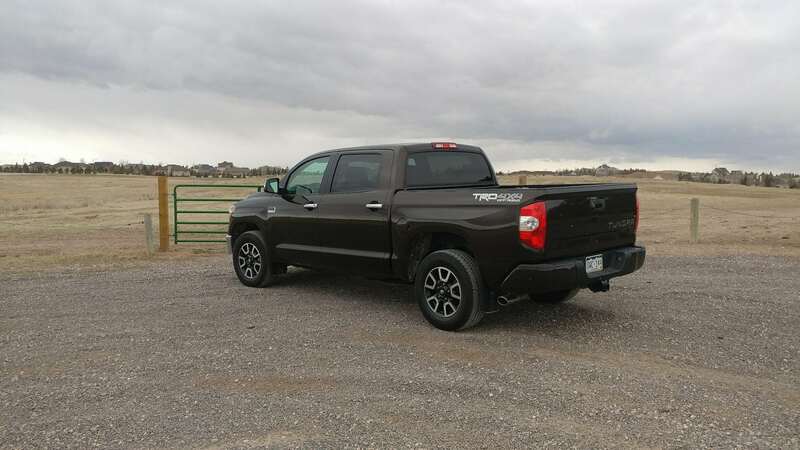 You can find things to be critical of each brand on the road, but all in all, the Toyota Tundra, like its rivals, is a quality pickup truck with a lot of upside. It comes down to a matter of taste and preference and brand loyalty. Real Talk: Why Don’t Manufacturers Care About Top Speeds?